Licensed psychotherapist and professor Bryan Robinson understands the demands we face. He also knows that it’s difficult to stop the cycle of over-work. But there is a solution. 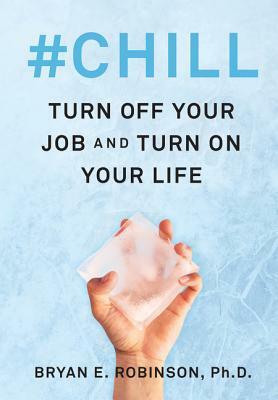 In #Chill, Robinson explains how ending the cycle of work addiction can be achieved by reframing priorities and cultivating mindfulness in our daily lives. He provides a month-by-month guide with meditations that help center and soothe us, allowing us to step back, close our eyes, take a long breath, and focus on the moment. Bryan E. Robinson, Ph.D., is a licensed psychotherapist and professor emeritus at the University of North Carolina at Charlotte. He writes the Right Mindset blog for Psychology Today, and is the author of more than thirty books. His previous books have been translated into fourteen different languages. He lives in Asheville, North Carolina.